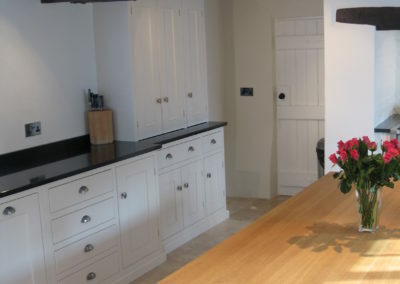 A kitchen that is functional but unique, providing ample storage and a personal touch, and will withstand the test of time. 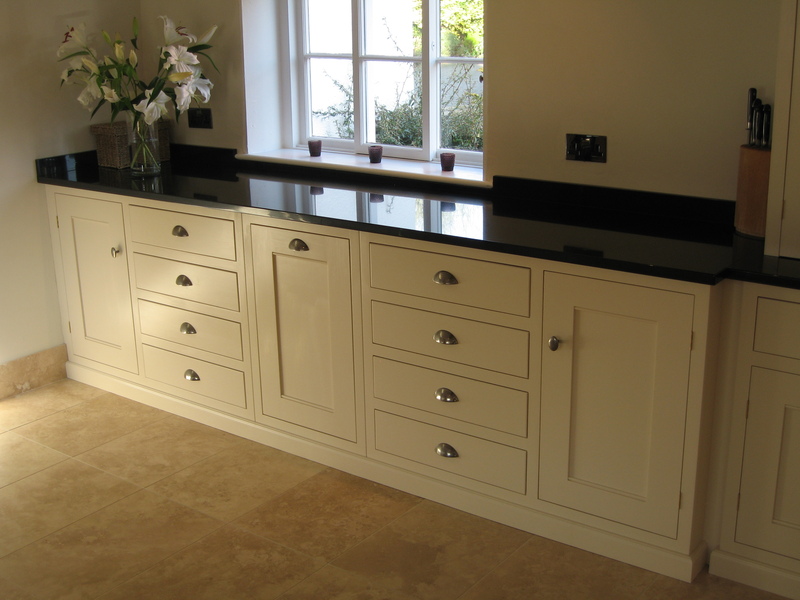 A design with a long, traditional style run of units on either side of the room which maximises the capacity for storage whilst giving the look and feel of free-standing furniture. 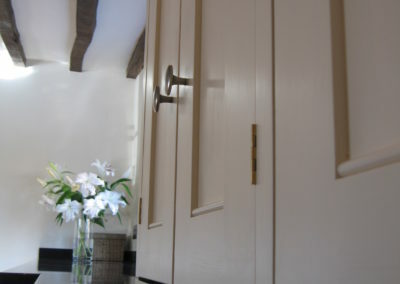 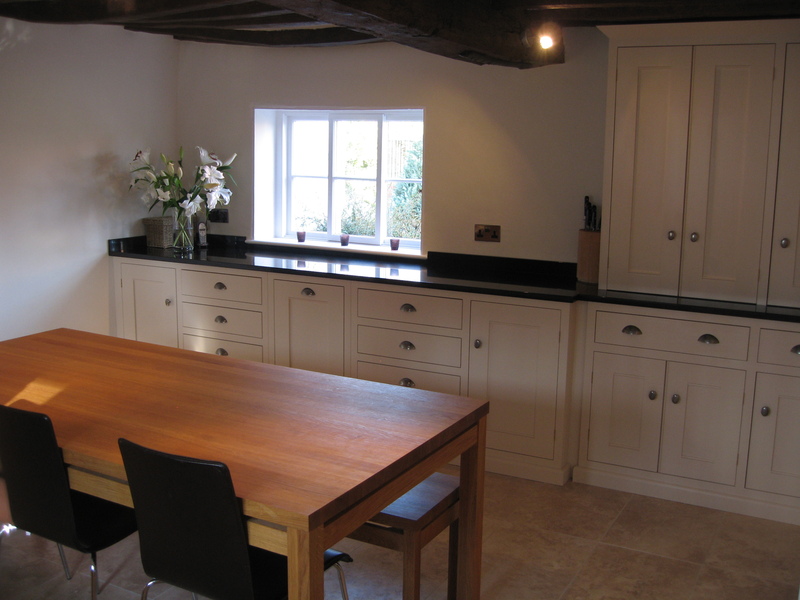 With cupboards carefully fitted into every alcove and corner of this room, this kitchen can accommodate an abundance of drawers, cupboards and appliances whilst enhancing rather than encroaching on the sense of space. 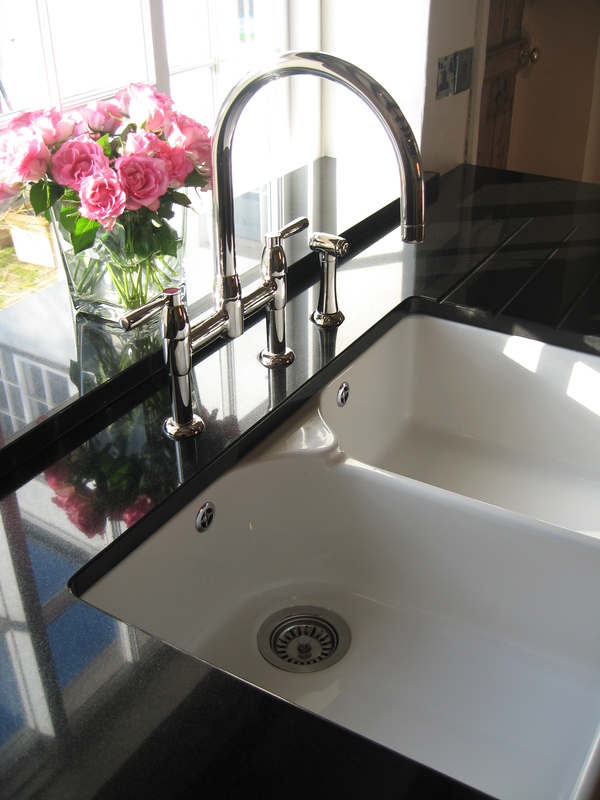 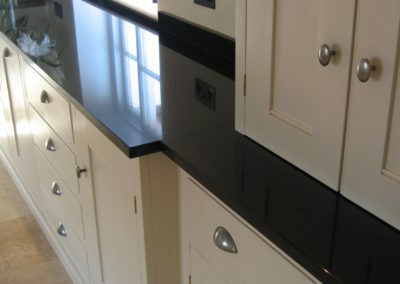 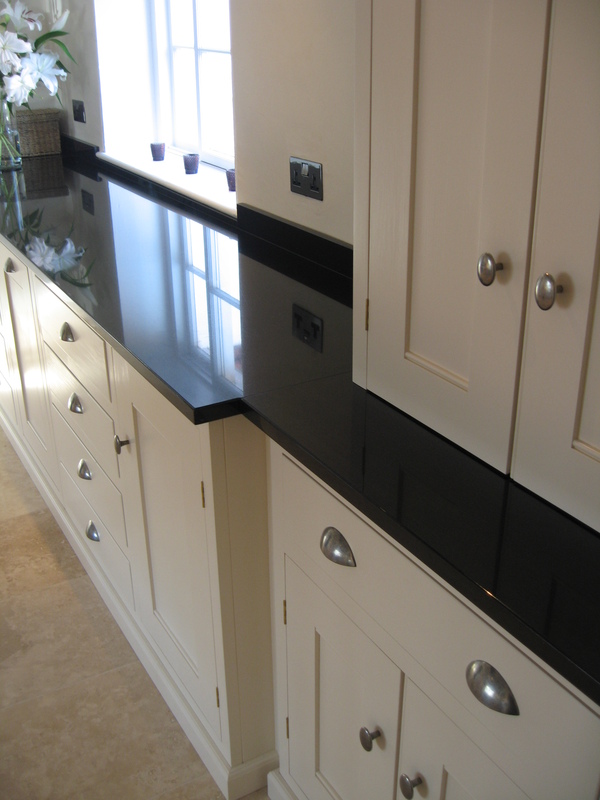 The black granite worktops add a contrast which is both modern and stylish whilst making it a resilient and functional workspace which will withstand the test of time. 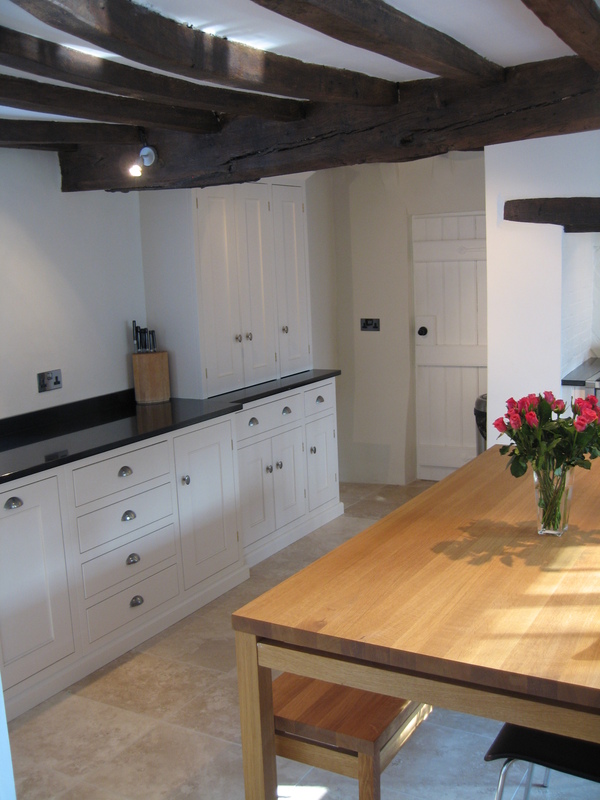 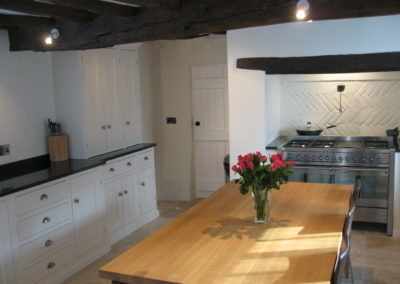 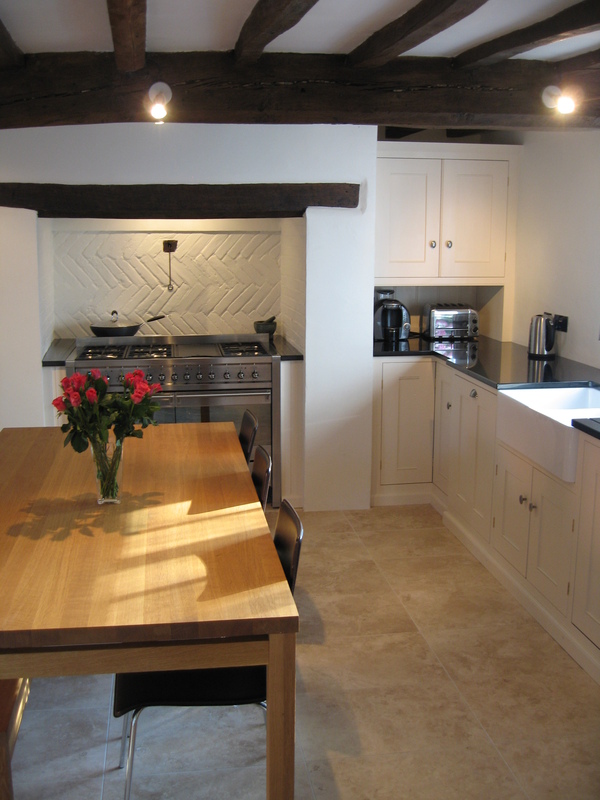 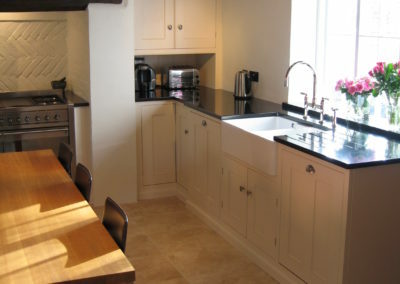 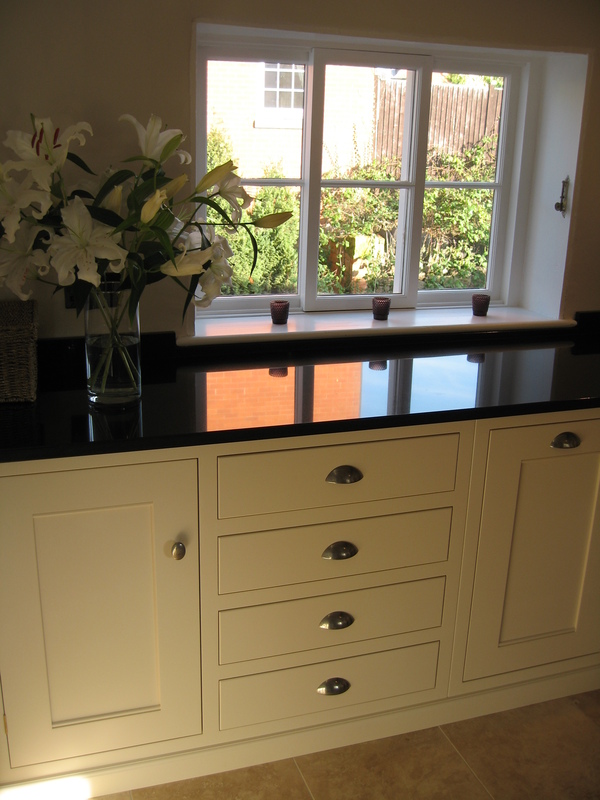 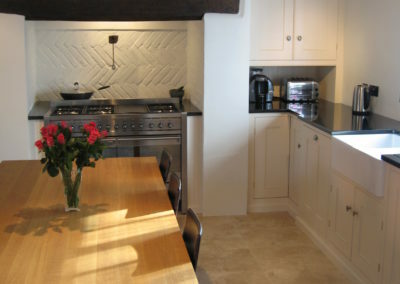 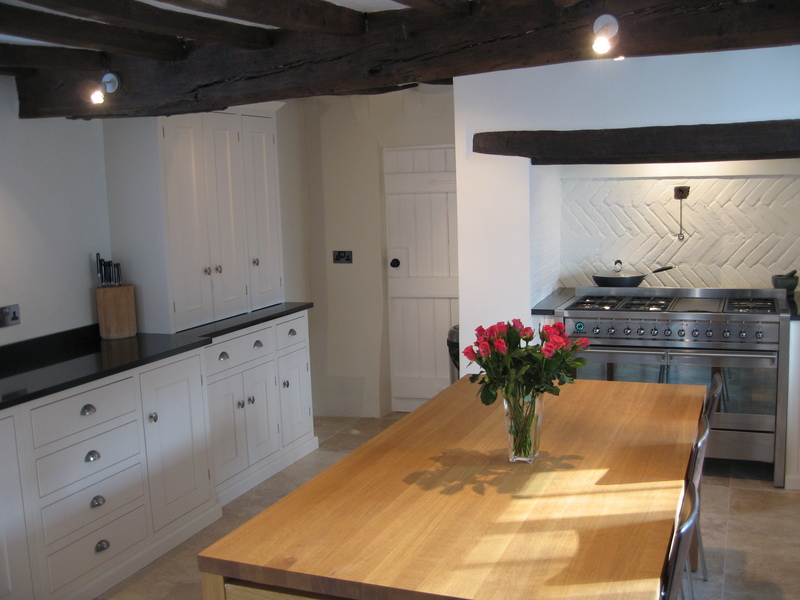 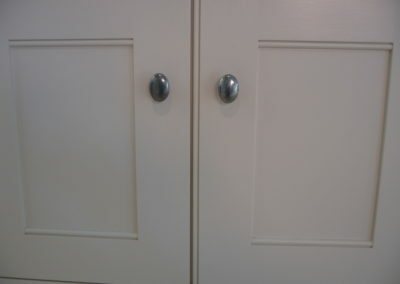 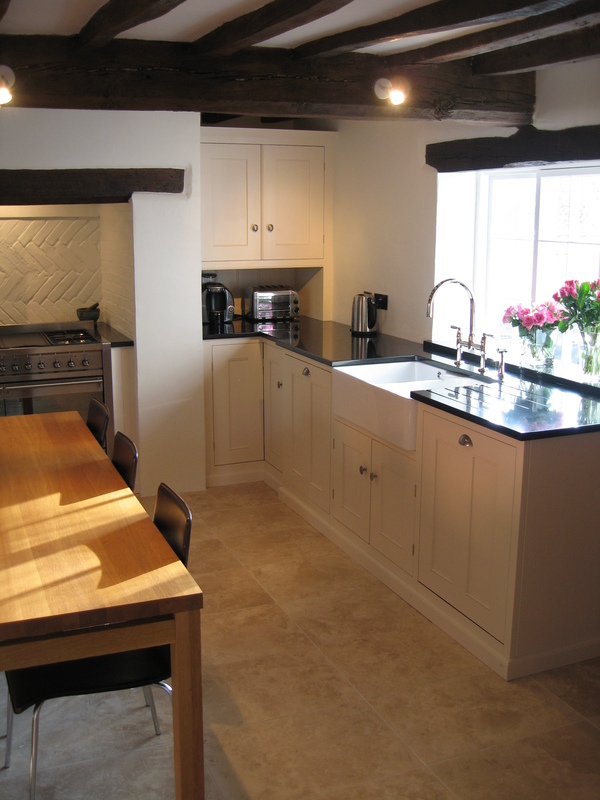 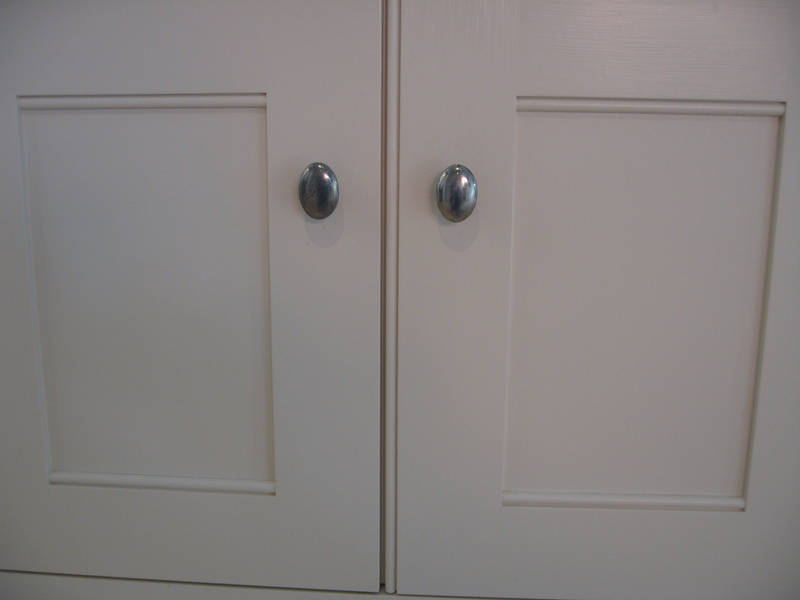 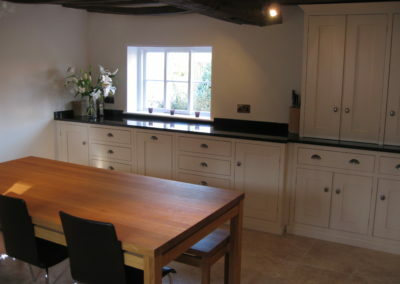 Having had designs and quotes from other bespoke kitchen makers we decided to proceed with James as we were highly impressed, throughout the design process, with the fact that James listened to our personal requirements but made well informed suggestions that ultimately enhanced the overall design of the kitchen. 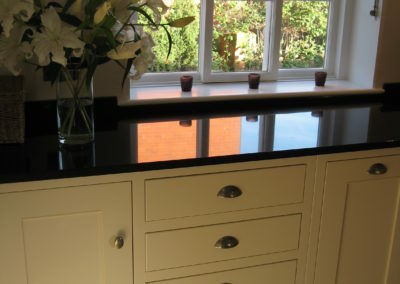 This left us feeling excited about the prospect of owning a very unique kitchen that would fit with our lifestyle and give the robustness of a fitted kitchen but the look and feel of freestanding furniture. 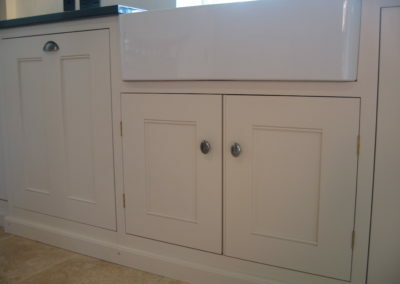 James started and completed the work on schedule. 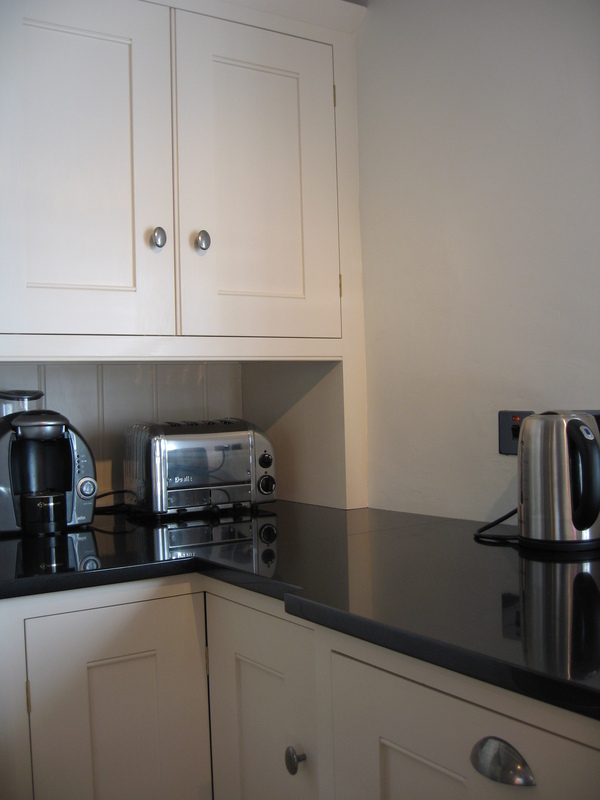 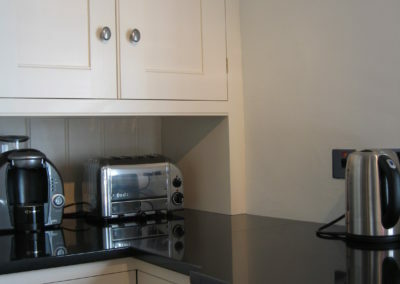 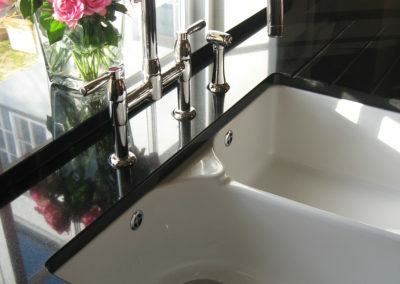 Throughout the time he worked on site he was extremely clean and tidy. 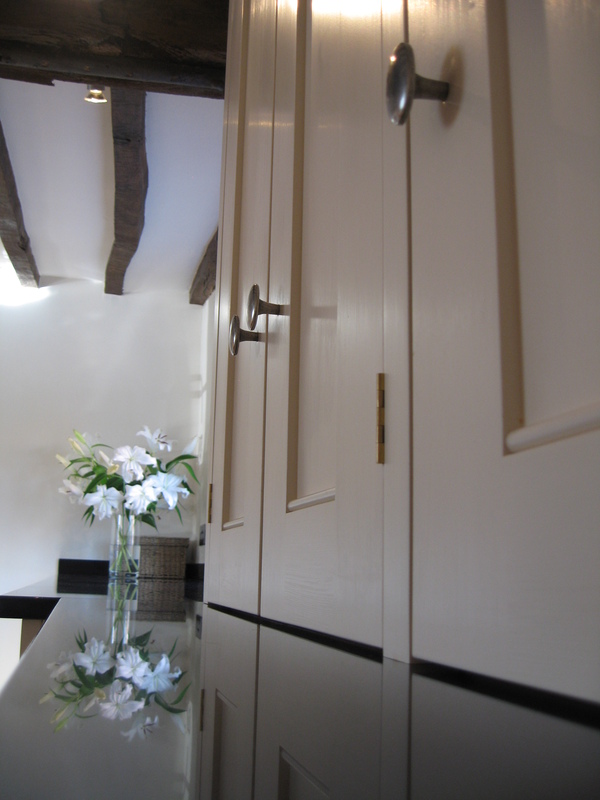 As it is a very old property there are no straight walls or 90 degree corners but due to James exemplary care and attention to detail the end result was one of perfection. 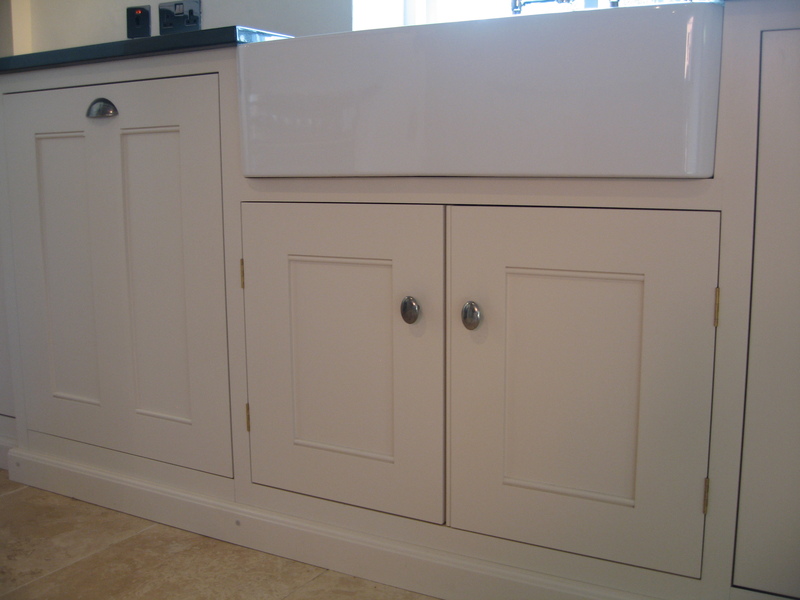 Overall we cannot recommend James highly enough and now having lived with the kitchen for 18 months the product has stood the test of time and shows the great value James delivers.